Do you find yourself yawning every afternoon? If you need an afternoon pick-me-up that will give you enough energy to last until dinner, skip the vending machine soda and chips and try these healthy snacks instead. The protein, complex sugars, and carbohydrates in these all-natural snacks will help keep your energy levels steadier than the sugar rush you might get from candy—which often leads to a quick crash and burn once the initial sugar high is over. Dark chocolate is not only significantly healthier than milk chocolate, but it also has higher trace amounts of caffeine to give you an added energy boost. Sunflower seeds are a good source of energy on their own, but the dark chocolate makes them even tastier. If you prefer savory foods, plain or salted sunflower seeds are also a good option. Most grocery stores sell frozen edamame that can be put in the microwave for a snack that requires little pre-prep. You can buy salted or unsalted, but either way, edamame packs a powerful punch of lean plant protein that will help fill your belly and fuel your brain. If you don’t like cottage cheese, you can sub it out with the old standby, peanut butter (or almond butter, if you’re allergic to peanuts). Although the idea that celery has negative calories is, unfortunately, a myth, it does have very few calories. The cottage cheese (or nut butter) will provide some fat to keep you feeling full and balance out the crunchy texture of the celery. Avocado toast is popular for a good reason. Avocados are full of satiating, healthy fat. Make sure to use whole grain, sprouted, or whole rye bread, though—white bread and other less nutritious breads won’t be as filling or healthy. 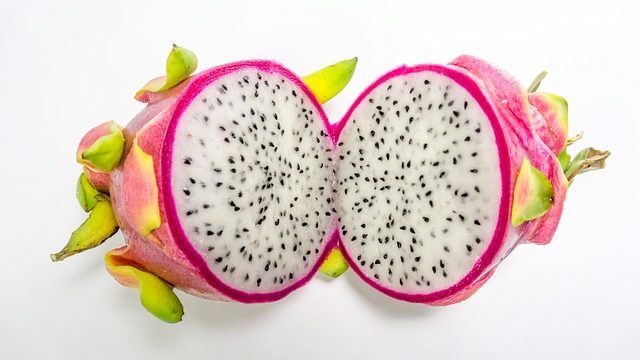 Dragon fruit is also known as pitahaya or pitaya. Dragon fruit is an easy, portable snack. All you have to do is cut it in half and eat the fruit out of the bright outer skin with a spoon. It has a lightly sweet flavor, and the seedy inside is similar to the texture of a kiwi. With a little planning ahead, you can avoid the traps of the vending machine and improve your afternoon snacking habits. Not only are these snacks healthier than candy or potato chips, but you’ll also feel full for much longer than if you had simply chugged a soda.